Terminal Operations, i never had an expectation before about this job. Yeah, after finish my study at Borobudur University in Computer Science Faculty i decide to work and i get an opportunity to work in Oil Company PT Shell Indonesia. Actually my office at Koja, Tanjung Priuk North Jakarta. I have been worked over here for 6 month. About my job as Terminal Operation in Trade and Supply Division, we call it T&S. I’m very enjoy it, for few days i think this place like a hell with how many problem inside that work but after i try to learn, i think this place like a wonderful education laboratory, why i say like that ? Cause i have more learn about leadership, communication, coordination, managing, controlling, more sensitive, more caring each other, and improve dicipline for myself . I get all of that from my team, yeah team. We are team, we are family. Of course my Terminal Manager Mr.Sutan as Father and my Spv as mother. over here we have two Spv they are Mr.Andri and Mr.Korobu. And right know there are 8 Staff Term Ops with different backgound. 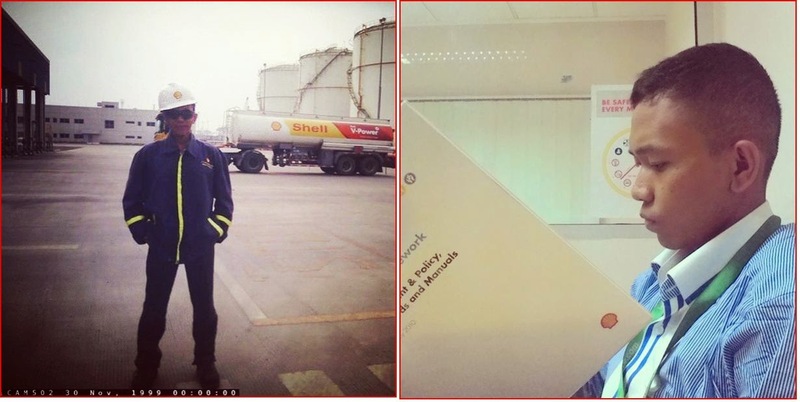 Terminal Operation, my job description is to control and manage distribution Shell fuel product from Terminal to Ritel Sites (Shell SPBU) in Jabodetabek and Bandung City and always keep a coordination with Hauliers or Transporter Company to make sure everything road safely. For distribution Shell Company join venture with PT. Puninar to distribute a product. Shell distribution a product from Terminal to Sites using a Truck. Yeah, a very big truck. I think i will continue my story in another article, i just wanna say “Never Love a Job, Love the things you do“.